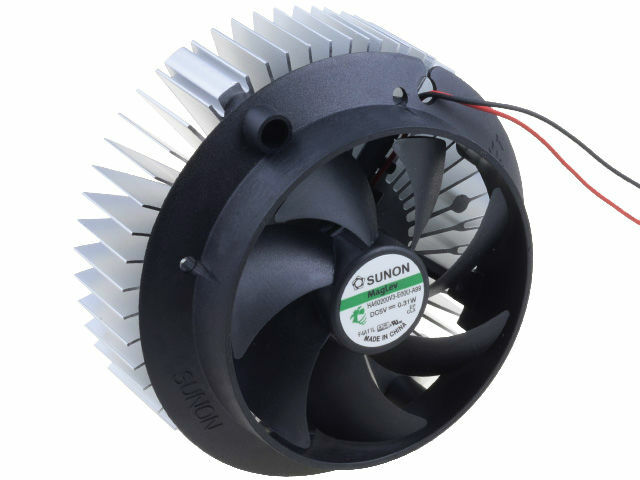 The TME offer has been extended to include 2 and 3 generation new LED cooling modules from SUNON. They replace the previous models with new, better suited to the ever-changing LED market modules. Due to the combination of a super silent fan and a massive radiator, they can cool the most efficient LEDs and are designed for use with LED modules of world famous companies such as Fortimo and Lexel of Philips, PrevaLED of Osram, Tridonic of Stark&Talex, WU-M-Series of Vossloh-Schwabe.